Out of stock since Friday, 21 December 2018. Due back soon. 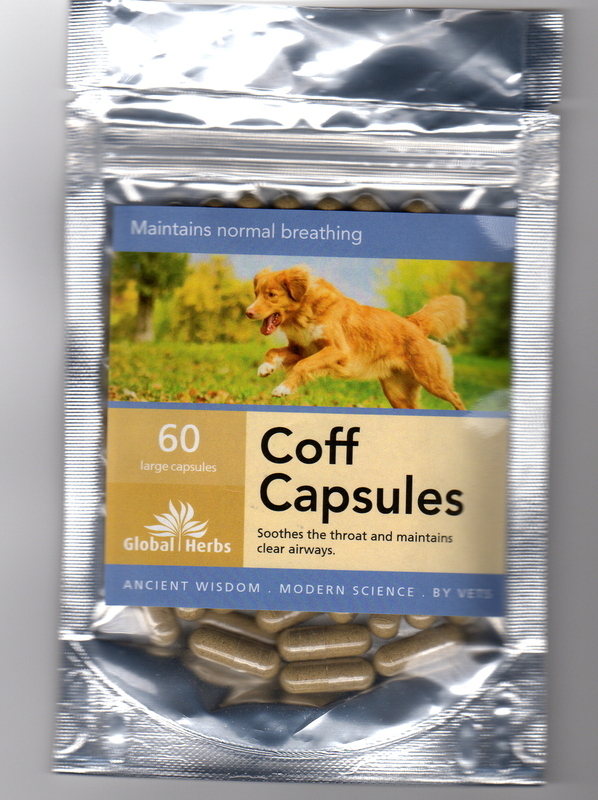 Global Herbs Coff Capsules are used to help provide your dog with easy breathing in a wide variety of situations. They help to keep airways clear and and keep the throat open and mucus levels normal. There are currently no questions for Global Herbs Coff Capsules for Dogs - be the first to ask one!